CP will match your donation! It’s an exciting year for Jim Pattison Children’s Hospital Foundation thanks to an amazing sponsor – Canadian Pacific (CP). Through its community investment program, CP Has Heart, CP is helping Saskatchewan pediatric cardiology patients access the best care possible. Funds raised through the 2018 CP Women’s Open in Regina will support a dedicated pediatric cardiology space and specialized equipment in the Pediatric Outpatients Clinic at the new Jim Pattison Children’s Hospital. 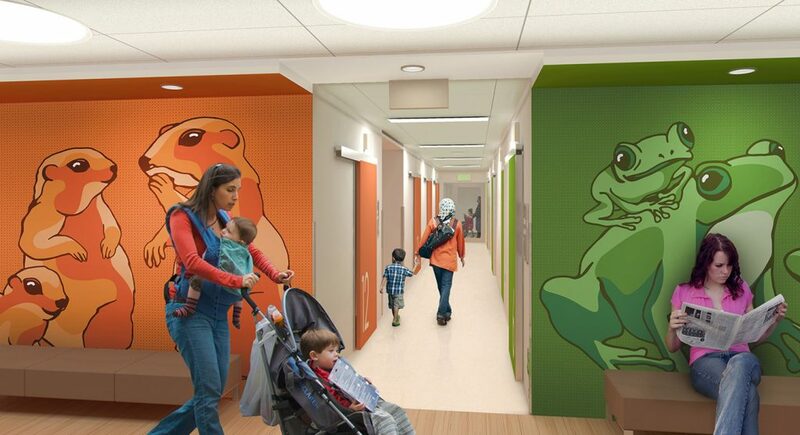 With a nature theme running throughout the hospital, the “Frog Pod” will be specifically used to treat pediatric cardiology patients and will include three echocardiography exam rooms, a pulmonary function technology lab, an exercise challenge room, and a regular exam room. Directly across the hall, included in the pod, is a staff echo cardiology reading room. You would never know it to look at him, but 10-year-old Ben Fizzard’s heart has been on shaky ground. An active, sports-loving kid, Ben suffered a shocking cardiac arrest in 2014 while playing tag at school during recess. His parents, Andrea and Sheldon, only had a hint of forewarning a year earlier when Ben collapsed after suffering flu-like symptoms. While he bounced back quickly, he remained very tired. Andrea, a critical care nurse in the adult coronary unit in Regina, and Sheldon, a respiratory therapist, took him to see Saskatchewan’s pediatric cardiology team in Saskatoon. There, pediatric cardiologists determined he had a slow and irregular heart. As a precautionary measure, they inserted a loop recorder under his skin to monitor his heart rate and rhythm. That loop recorder was what told emergency doctors exactly what had happened to Ben. 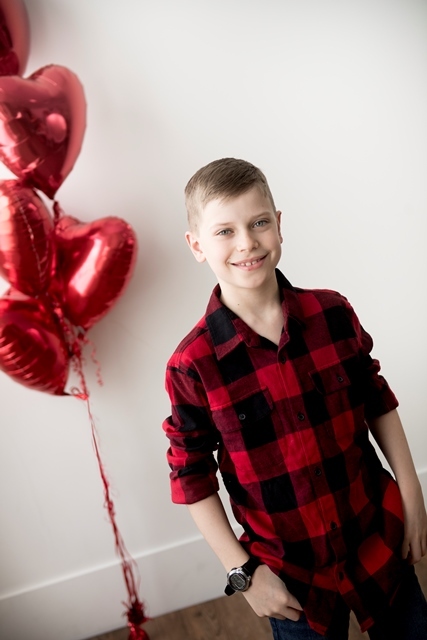 He and his family spent several days in pediatrics in Saskatoon before being transferred to the Stollery Children’s Hospital in Edmonton where he was fitted with a pacemaker and defibrillator.